Instant Pot Beef Stew is fast, easy comfort food. This version, Carne con Papas, has succulent chunks of beef, potatoes, rich authentic Cuban spices in a savory broth. 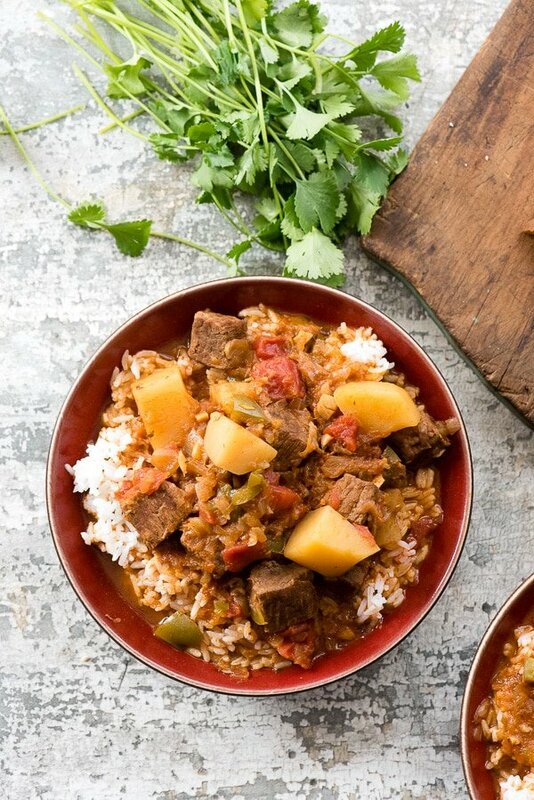 Carne con papas or Cuban Beef Stew is a soul-warming dish with rich spices (though it’s not spicy-hot), chunks of tender meat and potatoes in a savory broth. This Instant Pot beef stew cooks quickly and perfectly no effort from you! 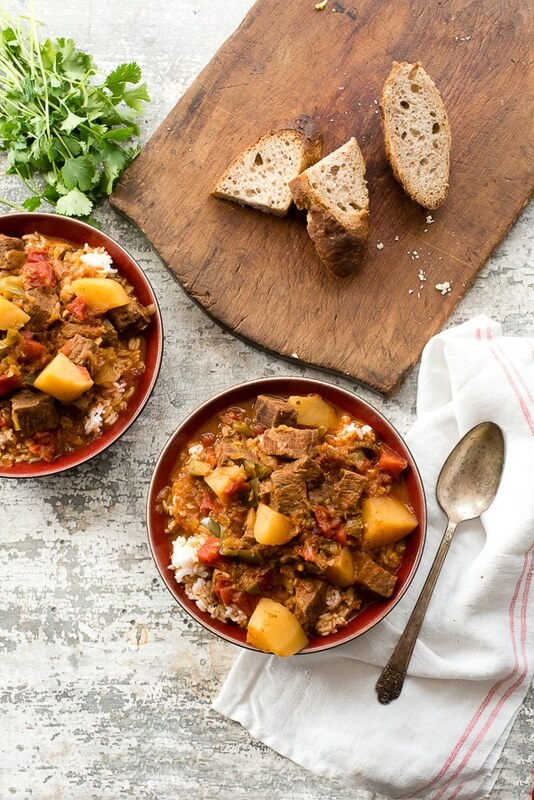 The recipe makes a hearty stew with tender chunks of beef, potatoes, in a rich Cuban-spiced broth. It’s a satisfying, easy, exciting recipe! 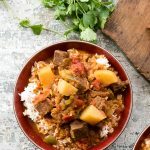 Making Cuban Instant Pot Beef Stew is a wonderful way to take a favorite comfort food recipe and kick it up a notch. Adding traditional Cuban flavors and ingredients makes dinner a bit more exciting! 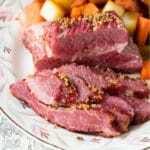 Cooking in the Instant Pot tenderizes the meat and keeps the vegetables firm for a satisfying texture. The wholesome ingredients in this Instant Pot Beef Stew combine to create a hearty, filling dish with flair! Don’t let the ingredient list length scare you! Many of the ingredients require no preparation other than being measured. I love using a mini chopper whenever I can instead of hand chopping ingredients. 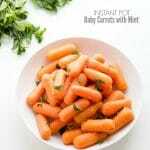 It saves alot of time when chopping or dicing. After use, the container and lid can be put in the dishwasher for cleaning. What Size Instant Pot is used for this Instant Pot Beef Stew? 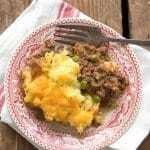 This recipe was developed using a 6 qt Instant Pot. How Long Does this Instant Pot Beef Stew Recipe Cook? Total cooking time for Cuban Instant Pot Beef Stew is about 45 minutes, in addition for the time to allow the Instant Pot to come to pressure. The Meat/Stew function is used which is pre-programmed for 35 minutes. The meat is seared, and the vegetables sautéed for a few minutes before the Instant Pot Beef Stew is sealed and cooked. 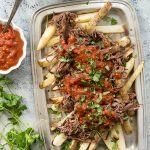 Preparing Cuban Instant Pot Beef Stew (Carne con Papas) is easy. All steps of this recipe are done in the Instant Pot making for easy clean up! Using the Sauté function, sear the stew meat is seared on all sides and set aside. Sauté the garlic, onion and green pepper. Return the meat and any juices to the Instant Pot, along with the remaining ingredients. Serve on a bed of rice or by itself. It’s a hearty, filling recipe with authentic Cuban seasonings. Check out more INSTANT POT RECIPES you’ll love! 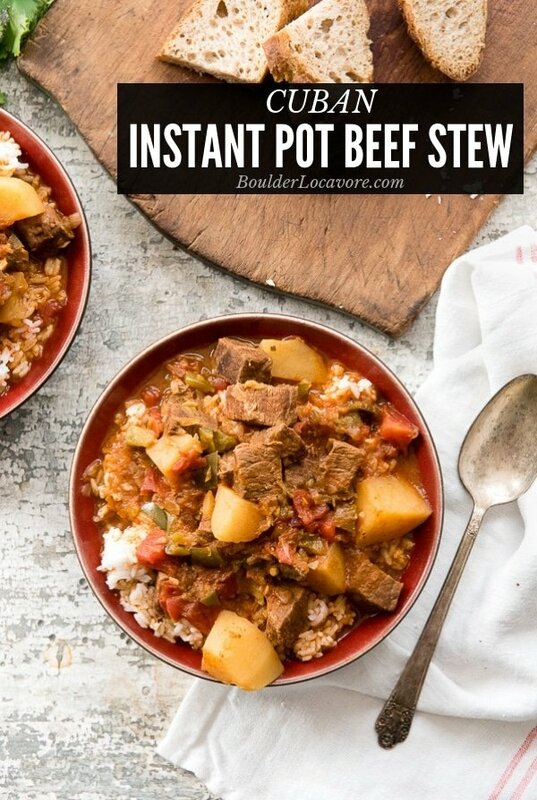 If you’ve tried this Cuban Instant Pot Beef Stew (Carne con Papas) recipe on BoulderLocavore.com please RATE THE RECIPE below! 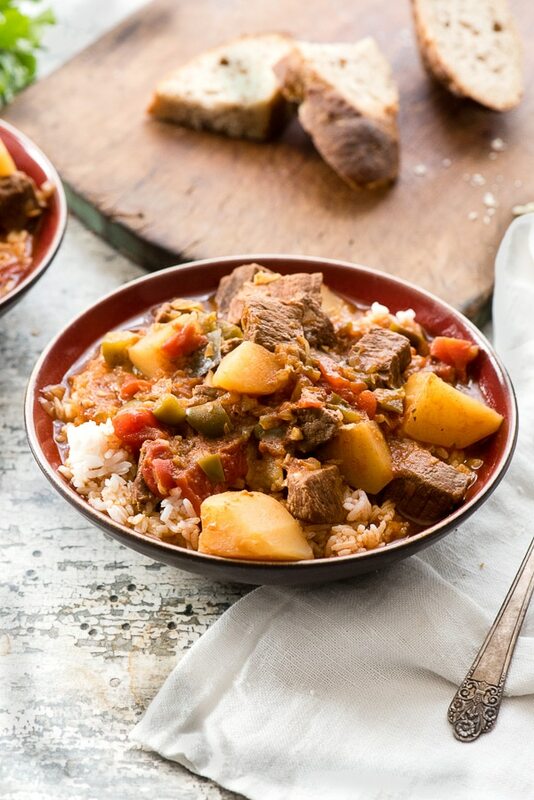 Carne con papas or Cuban Beef Stew is a soul-warming dish with rich spices (thought it's not spicy-hot), chunks of tender meat and potatoes in a savory broth. Plugin the power cord of the Instant Pot and when the LED display reads ‘OFF’ (in standby mode), press the SAUTE button (with the lid off). Add the olive oil and the stew meat. Brown the stew meat, allowing it to sit between stirring to develop a sear on each side (note: it can be done in two batches.). Remove and place the meat on a plate or mixing bowl. Add the garlic, onion and green pepper to the Instant Pot and sauté for 3 minutes. Add the beef (with any accumulated juices) and all the remaining ingredients to the Instant Pot. Seal and select MEAT/STEW (which is preset for High Pressure for 35 minutes). When cooking is complete, wait 10 minutes then do a Quick Release. Serve over rice. This was so easy and super delicious!!! This is my husband’s favorite dish and I could never get it right in the regular stove-top pressure cooker. The flavors are authentic (we’re Cuban), the meat perfectly tender and the potatoes just right! I don’t eat beef but I definitely ate the potatoes and sauce over some Jasmine rice. This recipe is a winner and I’ll be making it again and again. There were some ingredients I didn’t have such as the broth and tomatoes, so I just used water and tomato paste. It came out perfect!